The model SLC500 Data Highway DH-485 eBook covers the SLC500 Data Highway DH-485 network applications. Learners will practice interfacing two or more SLC500 PLCs to a Data Highway network to transfer programs and data between them and a PC. 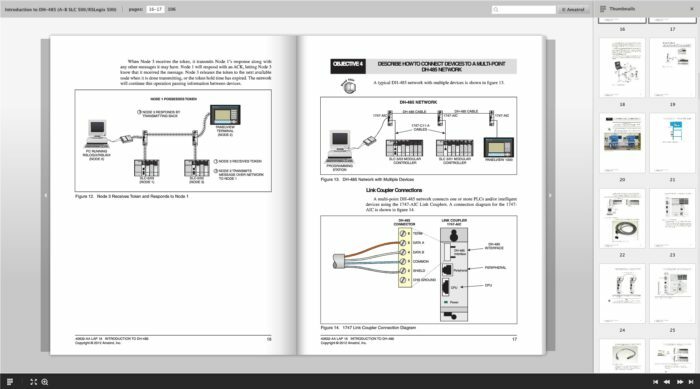 This eBook is the online curriculum for the 89-DH-AB500, which includes (2) SLC500 Data Highway Network Interface units, PC Serial-to-Data Highway Interface module, cable set, and student learning materials for theory and lab.